Is there a future Ringo in the house? 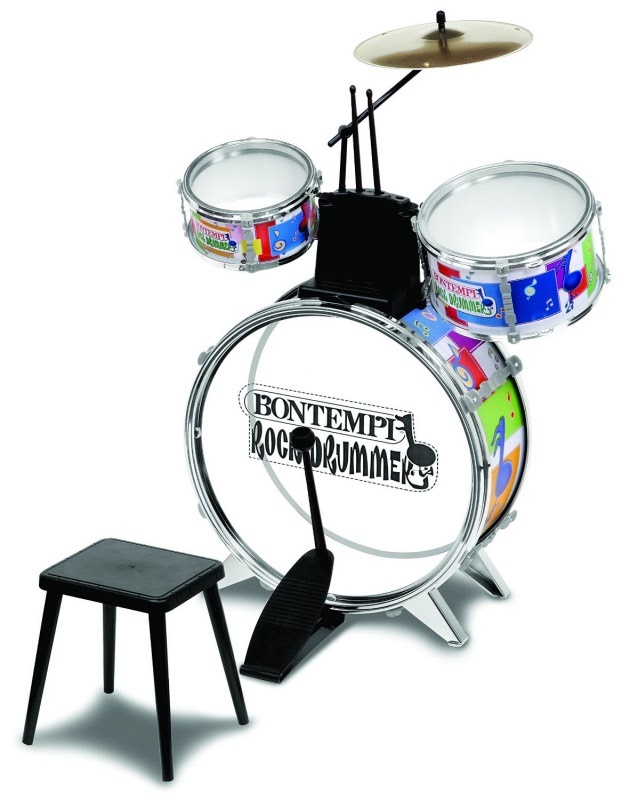 This childrens Rock Drum Set by Bontempi looks just like a real rock and roll drum set. It includes a big bass drum with a foot petal, 2 snare drums and a cymbal. Stool and drumsticks are also included. All this makes a realistic drum sound. Suitable for ages 3 and up. Everyone at Bontempi believes that all children must be able to bring the magical world of music, play, and learning to their lives with the highest quality products. Children are the future. Music contributes to a child’s total development and allows for children to creatively express themselves. A great first introduction to music, sound, and rhythm.